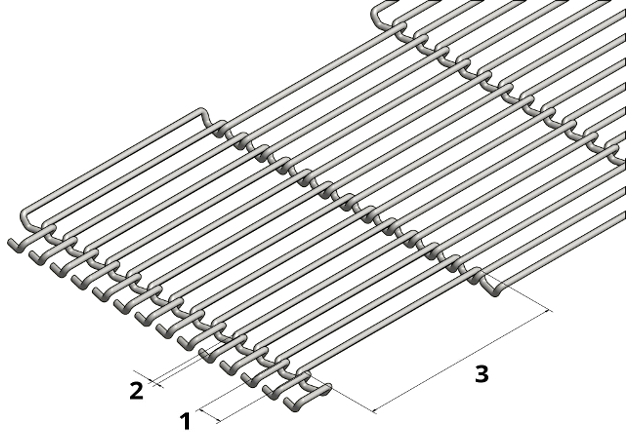 The mesh length is indicated with the number  on the image above. The number of meshes is not indicated on the image. The choices for the belt material are dependent on the wire diameter and will display automatically after you have selected the desired wire diameter.